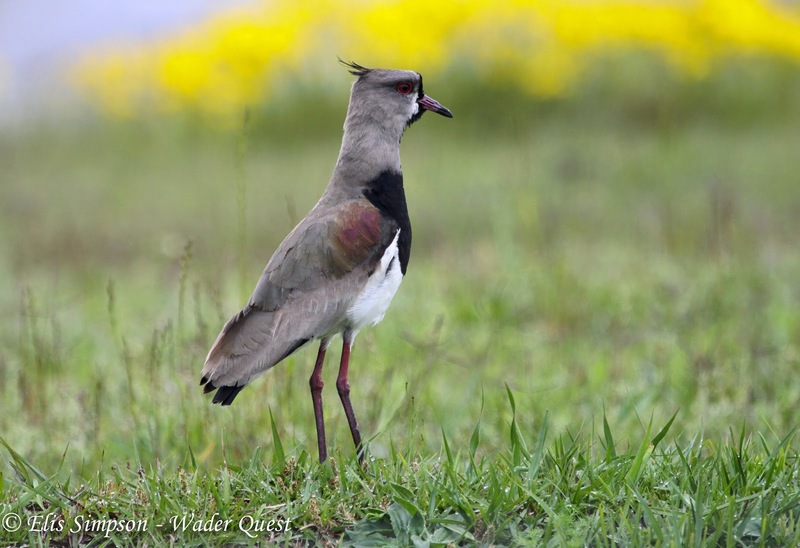 Wader Quest: Waders as garden birds. Don't you just love it when you are right? I certainly do! It is such an infrequent event that I have to celebrate every success. The other day the farmer (starting at 06:00 hrs) decided to plough the field behind the cottage. Although the early disturbance, on our only day when we didn't have to get up early, made me a little grumpy, I optimistically predicted that at least it gave us the chance of getting Northern Lapwing on our cottage list. Well, the next morning I awoke and scanned the field with my telescope, as I do every morning, and lo and behold, three Northern Lapwings feeding down by the lake on the field. This got me to thinking about Waders as garden birds, since I had now added my third for this 'garden' list. If you live on the coast I guess seeing waders from your living room window is not that unusual, indeed I have often dreamt of living in a cottage overlooking tidal mud so I can scan through the waders being pushed up to my front gate by the tide. The gloss on this dream was somewhat tarnished by the events of last year on the Norfolk coast and other UK regions, but it is still a dream with the caveat that the cottage is above any potential storm surge! Anyway, the other day our cottage, about as far from the sea as you can get, in leafy Bucks, reached its 60th bird on the list and believe it or not, it was another wader; Common Sandpiper. (Northern Lapwing is 62nd we had Stock Dove in between). 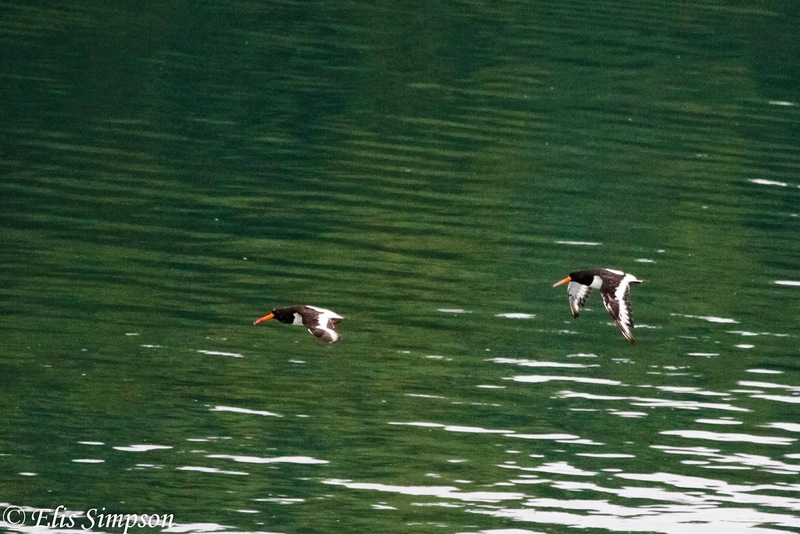 The list also boasts Eurasian Oystercatcher which we saw a while back with a nearly fledged chick, which is good news. Eurasian Oystercatcher Haematopus ostralegus; Conwy, Wales. September 2012. This in turn led me to thinking about what other waders I had seen from my homes in the past. Sadly it didn't take me long. As a boy I used to watch and count the birds seen in, around and above my garden in Hertfordshire. In those days it was not unusual for me to see flocks of Northern Lapwings flying over. I'd be willing to risk a bob or two that this does not happen today over that same garden. We moved up to a flat overlooking the low lying land between Bushey Heath and London and again occasionally I saw the odd lapwing flock, but no other waders. Northern Lapwings Vanellus vanellus; Buckinghamshire, England. April 2013. That was it then until I moved to Brazil; Elis and I shared an apartment that overlooked the bay, but it was not exactly a wader mecca although over the five years of our stay the local beaches produced Semipalmated, Collared and American Golden Plover, Sanderling, White-rumped and Spotted Sandpipers and Western Willet, with a Pectoral Sandpiper pitching up on a forest tack one day. White-rumped Sandpiper Calidris fuscicollis; São Paulo, Brazil. October 2010. 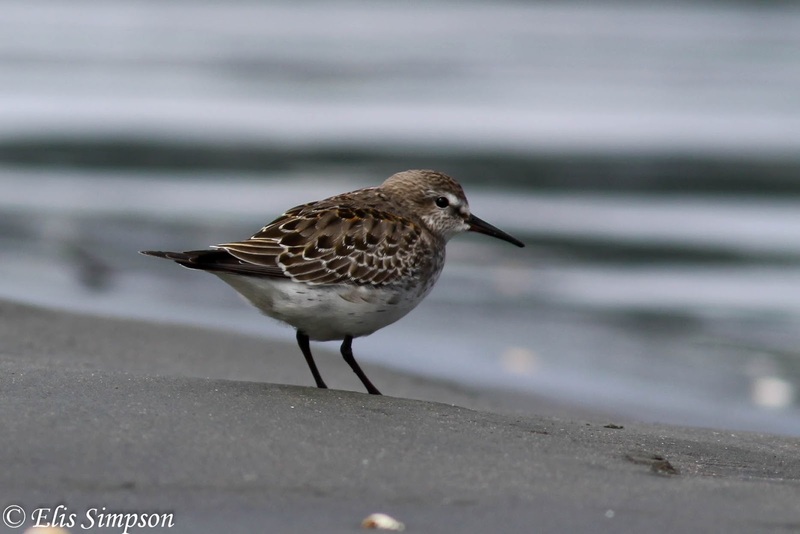 A little further up the coast we added Grey Plover, a vagrant Rufous-chested Dotterel, Semipalmated Sandpiper, Hudsonian Godwit, Lesser Yellowlegs and Ruddy Turnstone. Rufous-chested Dotterel Charadrius modestus; Rio de Janeiro, Brazil. June 2011. 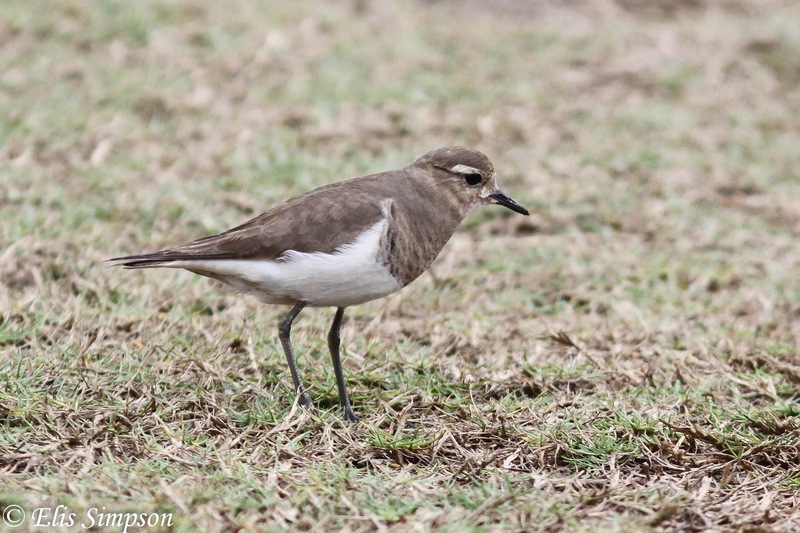 However one year the square in front of the apartment block hosted a Southern Lapwing family, although sadly they did not fledge their young, they really didn't stand a chance in between the children and the stray dogs. The adults could still be seen and even more often be heard for most of the year, but we never saw any more attempts to breed in the five years we were there. Southern Lapwing Vanellus chilensis; São Paulo, Brazil. October 2013. 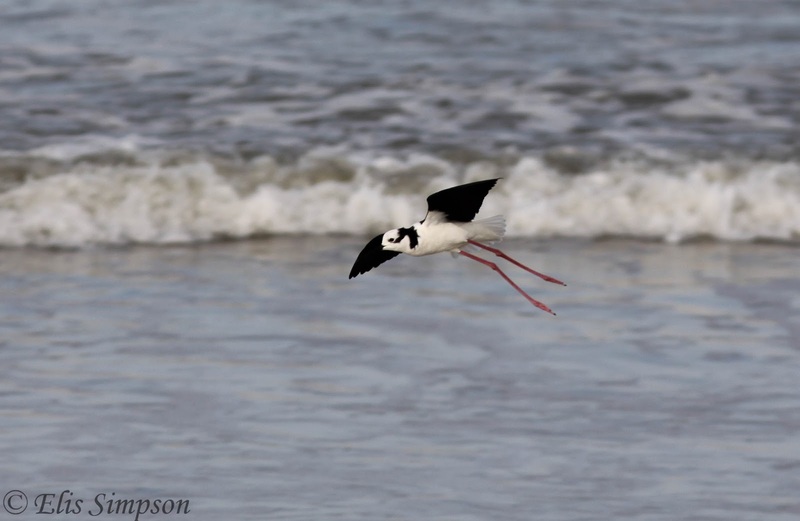 The only other wader we had from the apartment was White-backed Stilt, a pair of which circled the block calling one afternoon for some reason best known to themselves. White-backed Stilt Himantopus melanurus; Rio Grande do Sul, Brazil. June 2011. So I guess that makes my life garden wader list five; Northern Lapwing, Southern Lapwing, White-backed Stilt, Eurasian Oystercatcher and Common Sandpiper. Surely we'll see Eurasian Golden Plover this winter... won't we?